The government has ordered Pfizer Korea to halt imports of three drugs for one month, after detecting an abnormality in injection needles in Fragmin and foreign substances in Caduet and Lyrica. 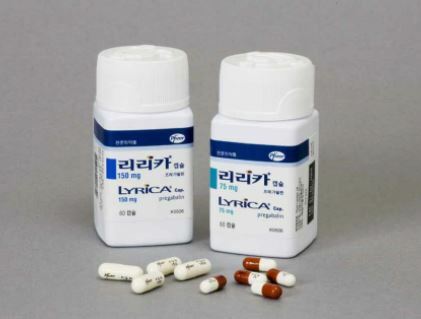 Pfizer Korea’s suspended drug, Lyrica Cap. The Ministry of Food and Drug Safety on Thursday disclosed its decision on its website, ordering Pfizer Korea to suspend the imports of the three products for one month due to the violation of the Pharmaceutical Affairs Act. The company imported the three medicines and ran quality tests during the sales process. However, it was found to have sold some unsuitable products during the distribution process, the ministry said. Fragmin Inj. 25000IU/ml had a problem with needles. Pfizer Korea failed to detect the abnormality during its internal inspection before selling the product. However, the government found abnormal needles among distributed injections, which was the drugmaker’s violation of the rules on shipment approval. The ministry also discovered that Caduet 5mg/10mg contained a foreign substance. Pfizer Korea also failed to detect the problem even though it went through quality inspection and went ahead with selling the product. Hyperlipidemia treatment Lyrica Cap. 75mg also had a foreign subject in a bottle, the government said. A month earlier, Pfizer Korea also faced a one-month suspension in importing Viviant Tab. 20mg due to poor packaging.